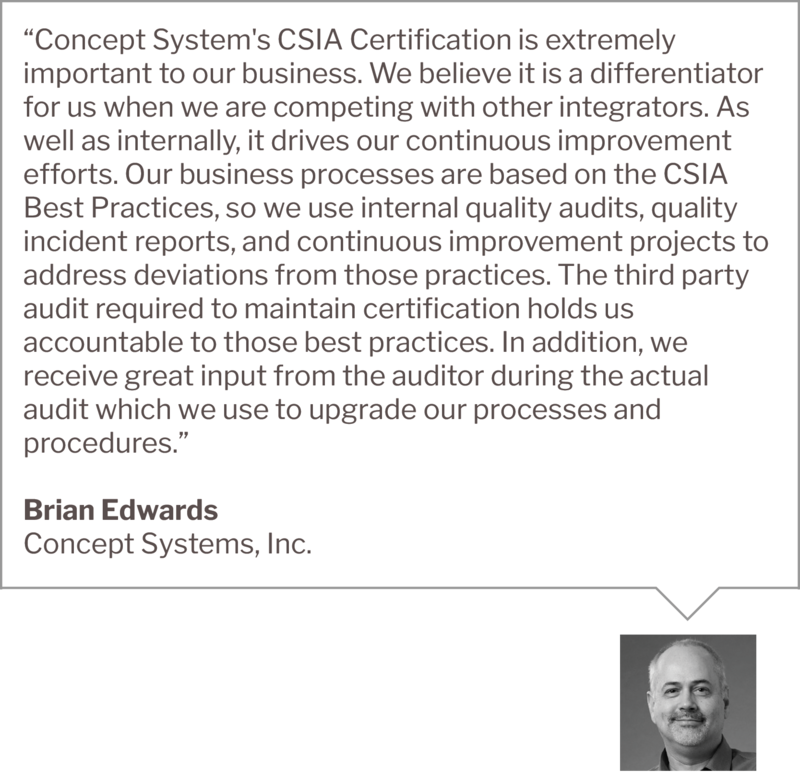 Why should my company be CSIA Certified? Attaining Certification is a rigorous process requiring an investment in resources — a worthwhile investment. 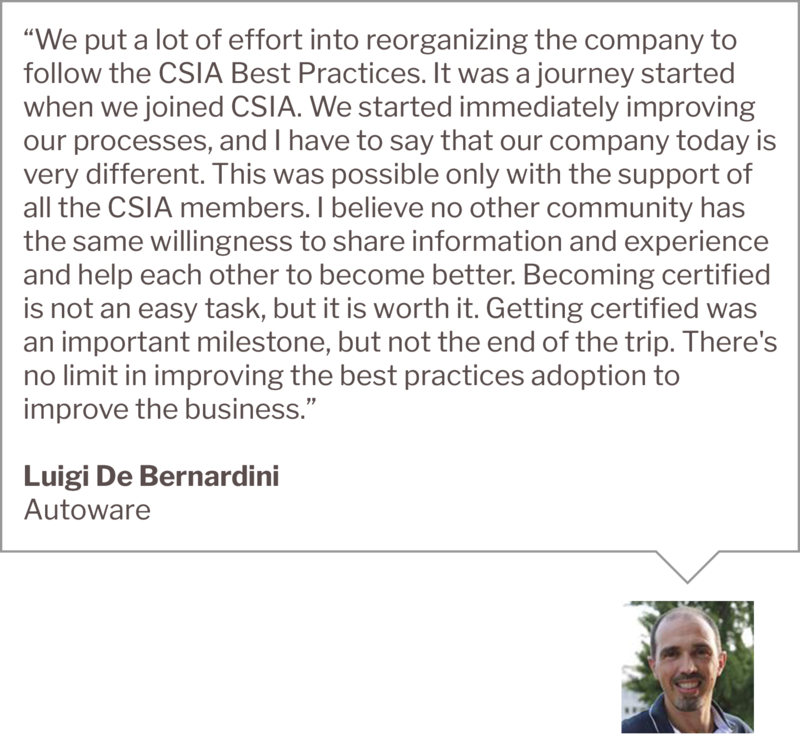 By implementing CSIA’s Best Practices and confirming their adoption via CSIA Certification, you will build a better company. CSIA Certified companies are financially stronger than non-certified companies. 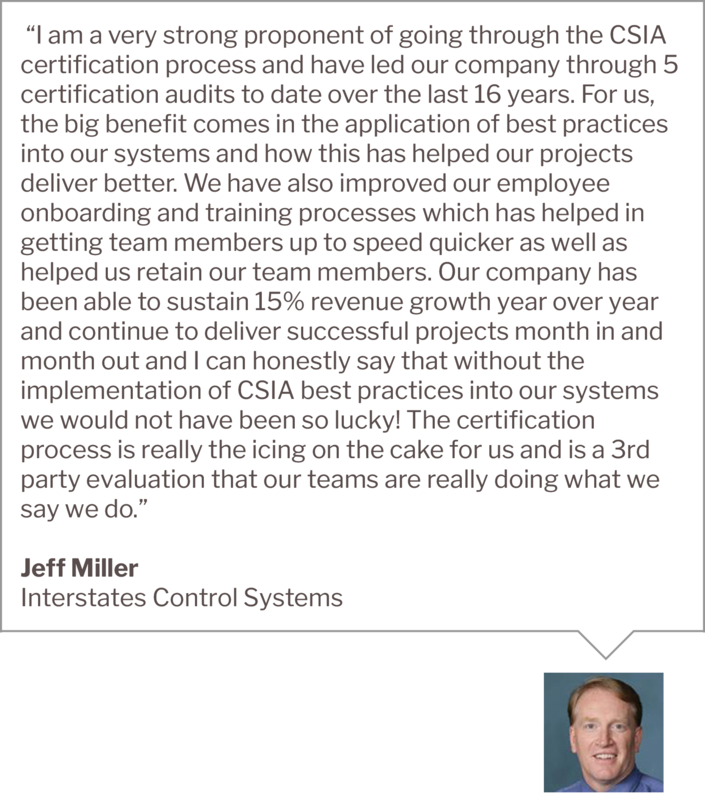 One of our partners recently completed an analysis of the data suggesting a strong link between Certification and business performance. 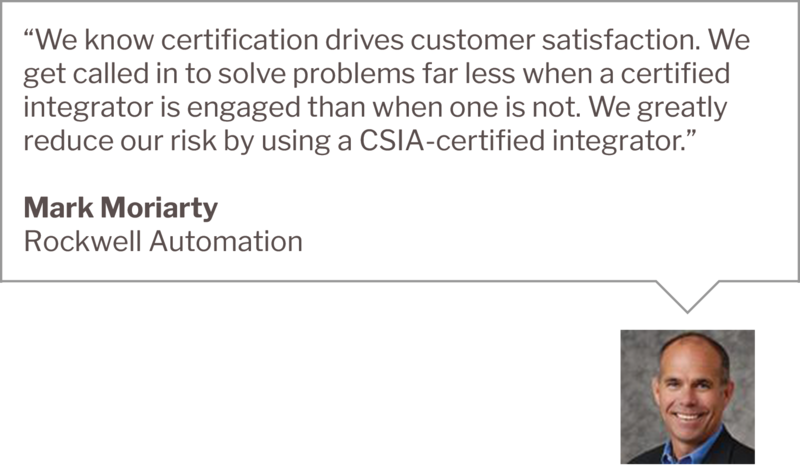 Additionally, some suppliers require CSIA Certification to be recognized in the top tier of their system integrator programs. Well-run, professional control system integration companies benefit clients and automation vendors, impacting every manufacturing industry. 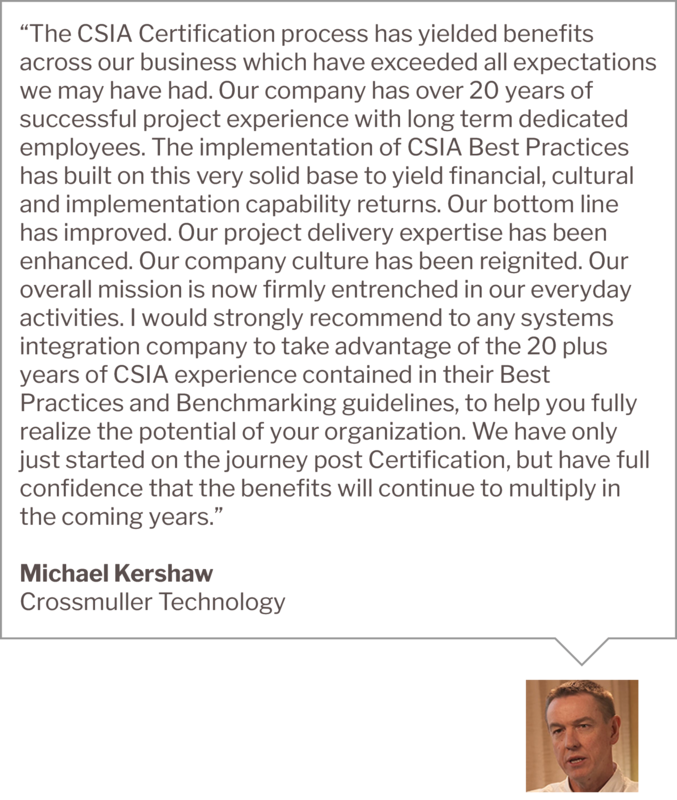 Our white paper demonstrates this by linking business performance data to CSIA Certification. 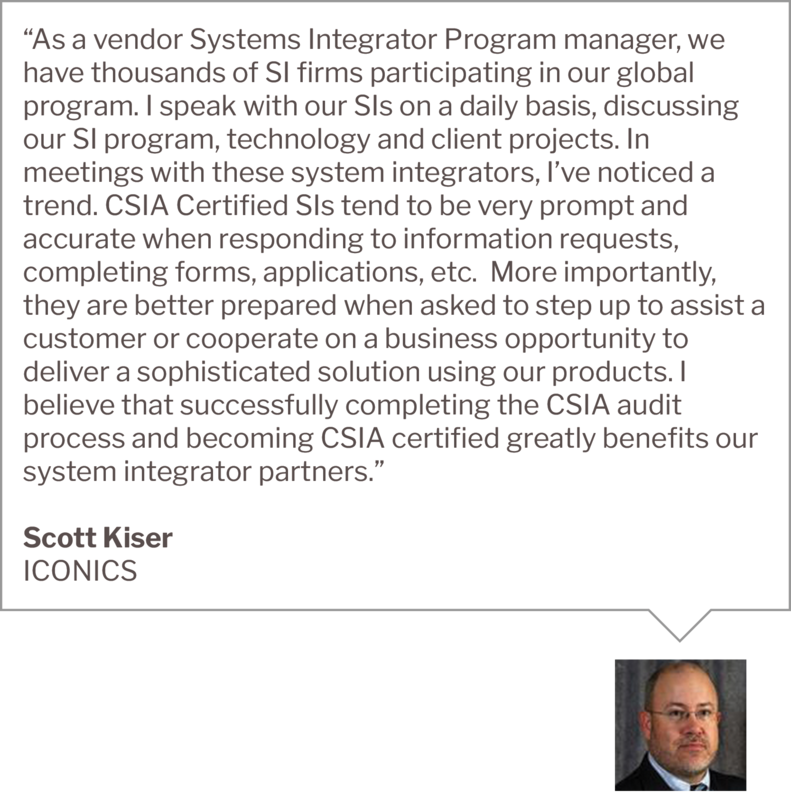 Successful system integration businesses combine technical proficiency with sound business practices. If you want to become a better company, begin by downloading the Best Practices Manual. 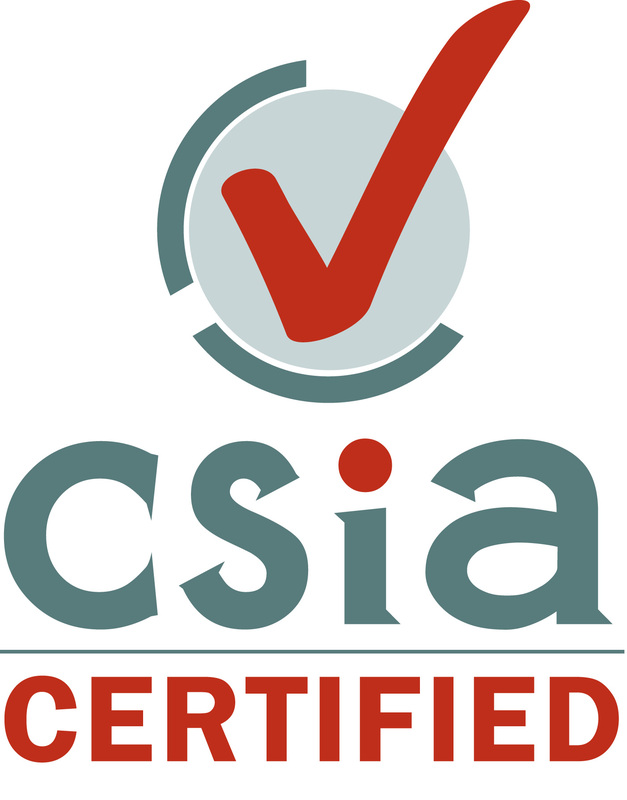 Besides joining CSIA, it is the first step on the road to CSIA Certification.